Rajabi, D., Abedi, A., Ebrahimi, G. (2011). Study on Static Recrystallization Process in Duplex Stainless Steel 2205. International Journal of Iron & Steel Society of Iran, 8(2), 20-23. D. Rajabi; A. Abedi; Gh. Ebrahimi. "Study on Static Recrystallization Process in Duplex Stainless Steel 2205". 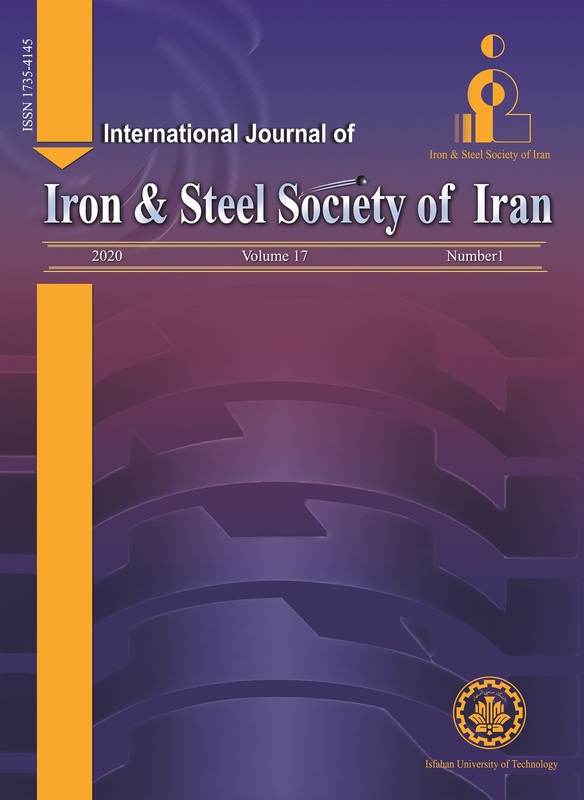 International Journal of Iron & Steel Society of Iran, 8, 2, 2011, 20-23. Rajabi, D., Abedi, A., Ebrahimi, G. (2011). 'Study on Static Recrystallization Process in Duplex Stainless Steel 2205', International Journal of Iron & Steel Society of Iran, 8(2), pp. 20-23. Rajabi, D., Abedi, A., Ebrahimi, G. Study on Static Recrystallization Process in Duplex Stainless Steel 2205. International Journal of Iron & Steel Society of Iran, 2011; 8(2): 20-23. Steel 2205 is one of the most famous duplex stainless steels. The microstructure of this steel composed of ferrite and austenite in similar amount. Therefore, in order to improve mechanical properties through microstructure, thermo mechanical processes such as controlled hot rolling and forging should be applied. It is not possible to employ the usual heat treatment. It shows the importance of our knowledge about the steel behavior during hot deformation and the effective mechanisms on the structural change. In the present study, hot compression in two pass process was performed on the 2205 specimens at the constant strain rate of 0.01 S-1and the temperature of 950°C, 1050°Cand 1150°C.The interval time between two pass were selected as 5, 10, 50 and 100 seconds and εc≈ 0.7εp was chosen. The results reveal that increasing interval time causes to increase the amount of wor softening before the recrystallization leads to decrease in grain size and hardness. Mater. Sci. Eng. A, 526(2009), 128. L. Duprez, B. C. De Cooman and N. Akdut: Metall. Mater. Trans. A, 33(2002), 1931. Steel Res. Int., 17(2010), 67. Mater. Sci. Technol., 25(2009), 1039.